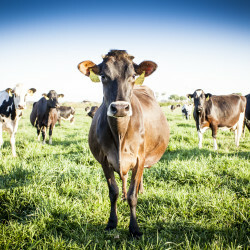 Non-GMO grass-fed dairy products — “You’re going to see a lot more grass-fed dairy products launching at Whole Foods. That’s been a big push for us. Mostly exclusive items from some well-known brands,” Schweizer told SN. The chain’s top growth segment in eggs has been non-GMO verified, he said, meaning that the chicken feed is non-GMO. Schweizer is seeing more organic and conventional grass fed options in other dairy categories as well.